Amelia Dyer was born in Bristol in 1837…. That marks the beginning of my poem and this is the first illustration of, what is going to become, the Amelia Dyer picture book. I found this beautiful video of London on YouTube. It’s stunning. Enjoy. 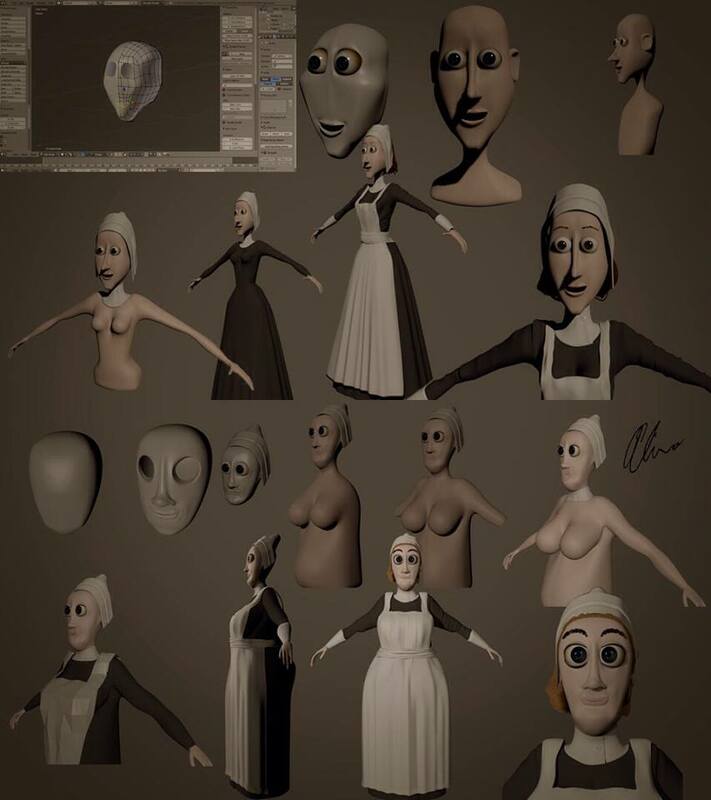 Mrs Dyer’s cruel demise is finally taking shape. It’s taken me far longer than I had anticipated. It’s mainly the animation that’s slowing me down. 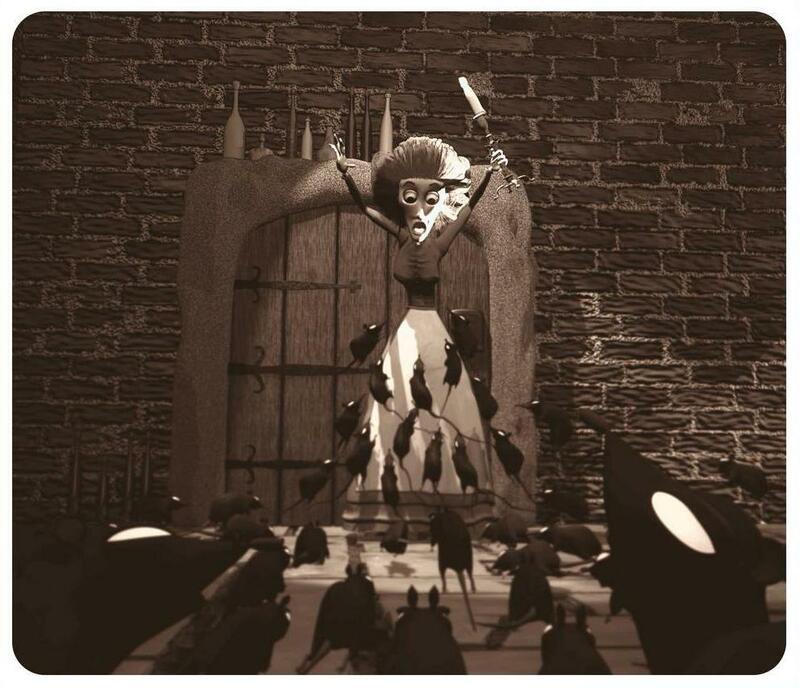 Even though the movements of the characters are very basic, animating each individual rat is a killer. 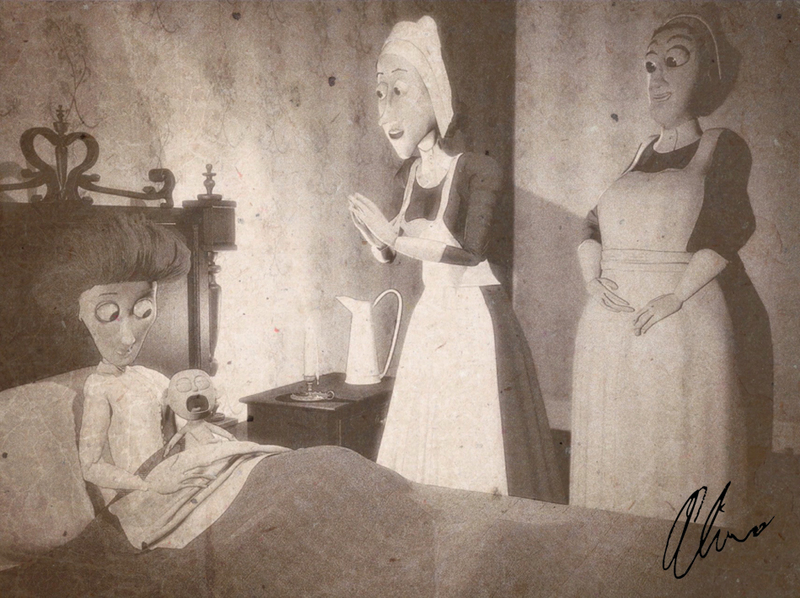 But I’m almost there now and ready to continue the work on my gruesome, Gothic, Amelia Dyer story. Bring on 2014! 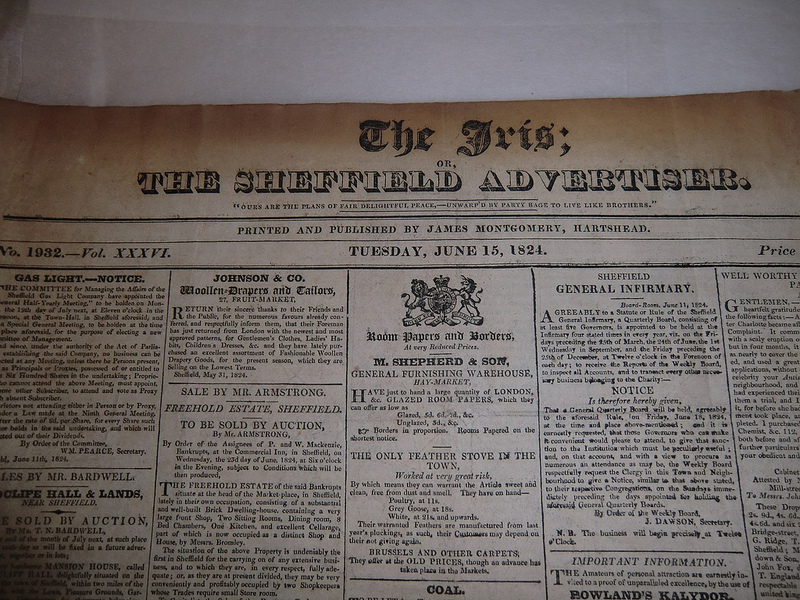 A few days ago, while visiting my parents-in-law, I was shown a copy of “The Iris” or “The Sheffield Advertiser”. 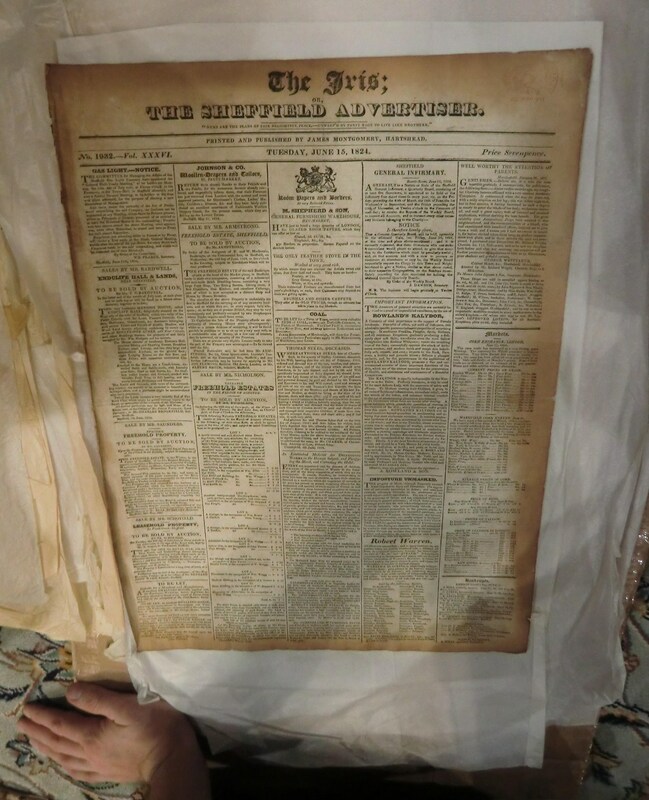 The date on the newspaper, shown on the picture, is June 1824 but the paper is a reprint, issued in 1879. Reading some of the articles in the newspaper made me realise just how quickly a language can change. I really struggled to understand what I was reading. It was obvious that some words, even though still used today, had a totally different meaning back then. I really enjoyed looking at the design of the newspaper as well. The style is beautiful and I was really impressed with all the gorgeous and stylish fonts. I’m definitely going back to it for inspiration when designing the fonts for my Amelia Dyer picture book as the style matches perfectly.